Eightmile Lake in the Alpine Lakes Wilderness. A century-old dam there is now under threat from floodwaters. 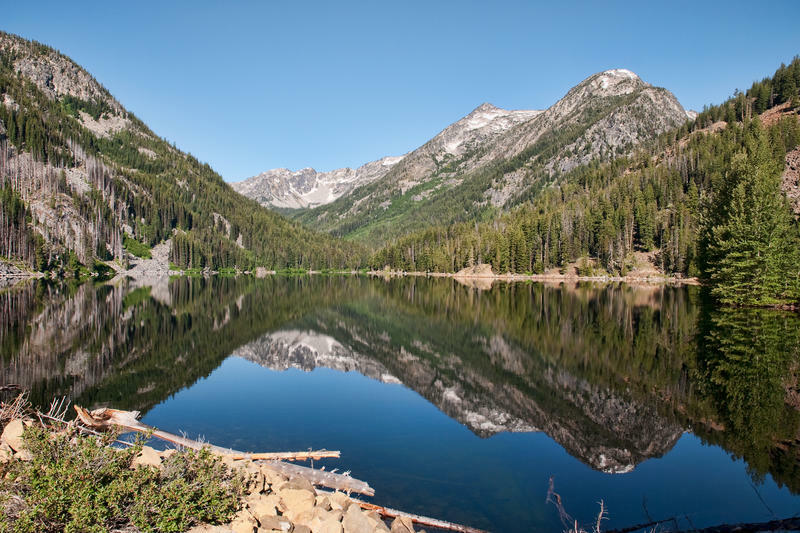 The Eightmile Lake Dam, which was built in the 1920’s out of earth, rock and mortar, is on Eightmile Lake in the Alpine Lakes Wilderness. Water from the lake flows into Icicle Creek through Leavenworth and then dumps into the Wenatchee River. 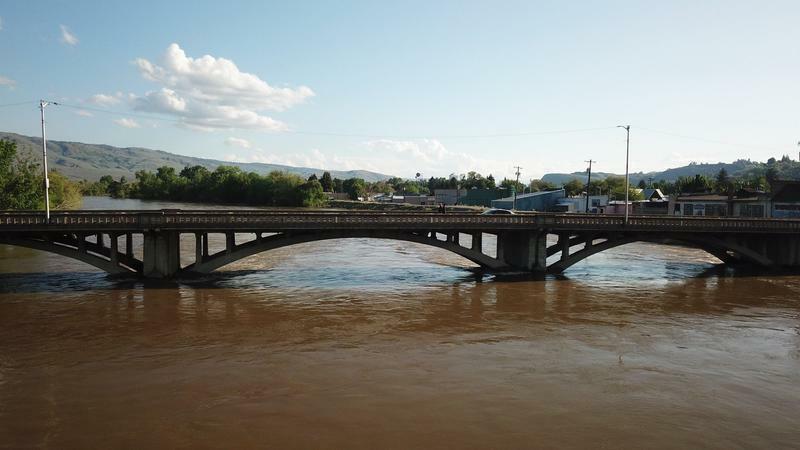 In recent days, snow melt from the mountains has inundated waterways in Central and Northeast Washington and caused flooding in many areas. A major forest fire burned much of the watershed around the Eightmile Lake Dam last year, so soils there are less absorbent. The high water has already peeled off a four-foot section of the earthen portion of the dam. Officials are worried as temperatures rise this week, the pressure on the dam could worsen. Emergency officials just flew in an excavator to the remote site using a helicopter. They plan to siphon water from behind the dam with large hoses. A release pipe that could help is clogged with old boards and debris. Officials say that at this high water stage, they can’t safely remove the blockage. There are about 50 homes downstream that are in jeopardy. The Chelan County Sheriff’s Office has released a map that shows potential inundation zones. 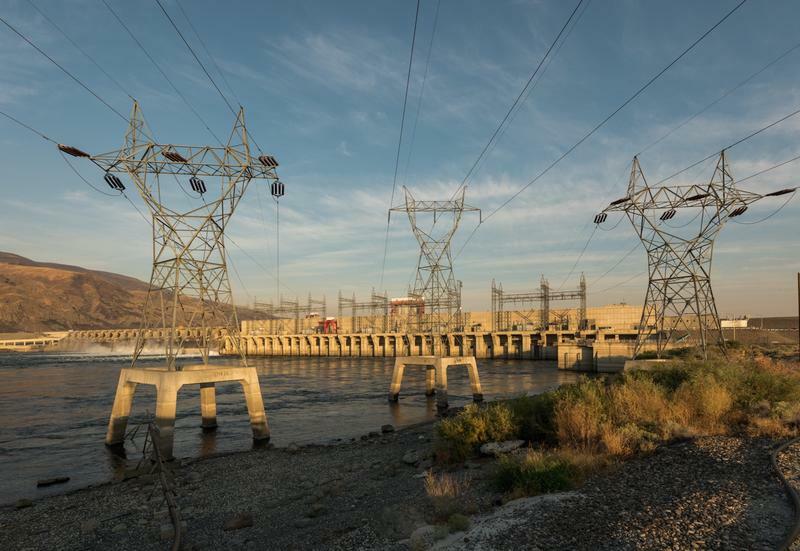 Emergency managers have called a public information meeting on the situation at the dam for Monday, May 14 in Leavenworth at the Leavenworth Fire District #3 at 7pm.